The Philadelphia City Council has decided the Back to the Future namesake is dangerous for children. They’re not alone; soon after the hoverboards 2015 take off in the U.S., various manufacturers of the self-balancing electric scooters began to receive a litany of complaints from customers who were badly injured. 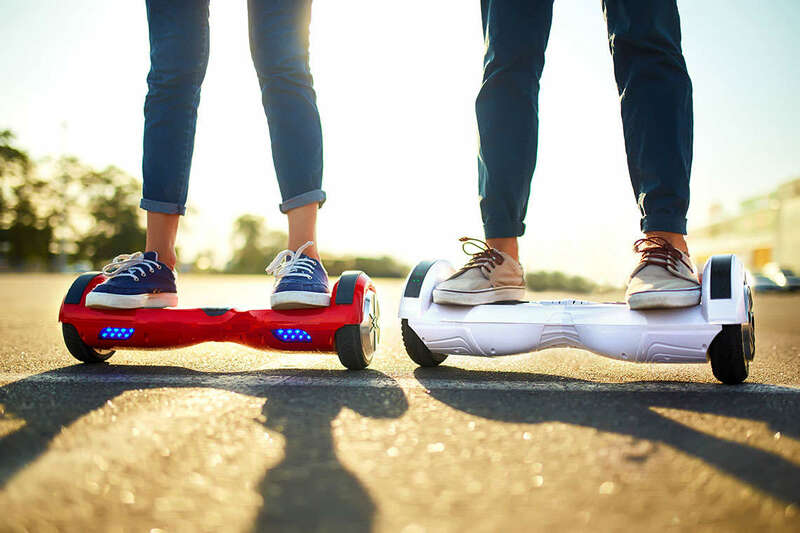 After recent reports from the US Consumer Product Safety Commission of 39 hoverboards catching fire or exploding, consumers have filed lawsuits for injuries and Amazon is offering full refunds for users who would like to return their devices. Airlines are so concerned about possible explosions as a result of the device’s lithium-ion batteries that many have banned their transport in travelers’ carry-on and checked baggage. Not only are Hoverboards a fire hazard, but they also pose another risk to riders. Consumers have also sustained injuries from falling off the futuristic skateboards. The worst of these reported injuries happened to Mike Keller, a 40-year-old Philadelphia resident who resides in the Prospect Park neighborhood of [Brooklyn](/new-york/). Keller fell off a Hoverboard the day after Christmas and remained in a coma for three weeks following the accident. He is now learning to walk again following his catastrophic brain injury. The legislation was introduced at Philadelphia City Council today requiring that children under the age of 12 wear protective headgear while riding Hoverboards. Adults responsible for their care will be fined between $25 - $300 if a child is discovered to be operating a Hoverboard sans proper protection. This new legislation is in line with current laws on bicycle operation for youngsters. By contrast, stricter legislation in New York City has classified Hoverboards as unregistered motor vehicles. It is illegal to operate the so-called toys on public sidewalks and streets. Even Mike Tyson isn’t safe from a vicious Hoverboard accident. If you or your child has experienced a personal injury as a result of these devices contact our Philadelphia lawyers immediately to see how we can be of assistance to your case. The worst of these reported injuries happened to Mike Keller, a 40-year-old Philadelphia resident who resides in the Prospect Park neighborhood of [Brooklyn](/new-york/). Keller fell off a Hoverboard the day after Christmas and remained in a coma for three weeks following the accident. He is now learning to walk again following his catastrophic brain injury. The legislation was introduced at Philadelphia City Council today requiring that children under the age of 12 wear protective headgear while riding Hoverboards. Adults responsible for their care will be fined between $25 - $300 if a child is discovered to be operating a Hoverboard sans proper protection. This new legislation is in line with current laws on bicycle operation for youngsters. By contrast, stricter legislation in New York City has classified Hoverboards as unregistered motor vehicles. It is illegal to operate the so-called toys on public sidewalks and streets. Even Mike Tyson isn’t safe from a vicious Hoverboard accident. If you or your child has experienced a personal injury as a result of these devices contact our Philadelphia lawyers immediately to see how we can be of assistance to your case.